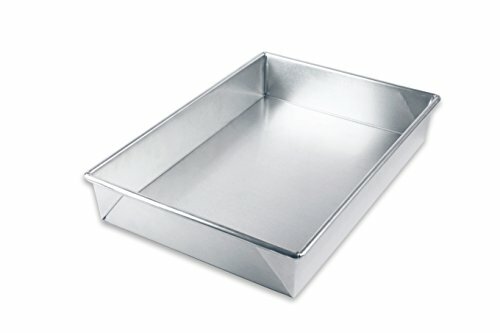 Made from commercial quality aluminum that will never rust, the bare aluminum bakeware 9 x 13 rectangular baking pan provides home bakers with a classic baking experience for creating flawless homemade baked goods. The stay flat technology helps to resist warping and the reinforced rim adds strength and durability. Made in the USA by USA Pan, bare aluminum bakeware is PTFE, PFOA and BPA free and offers a limited lifetime warranty.